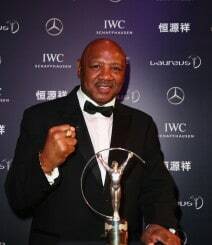 Marvelous Marvin Hagler was the undisputed World Middleweight Champion from 1980 to 1987. He made 12 undisputed title defenses and holds the highest knockout percentage of all undisputed middleweight champions, at 78 percent. He is an inductee of the International Boxing Hall of Fame and of the World Boxing Hall of Fame.